Make the material received available through interlibrary loan, document delivery, photocopying or other means to users who cannot easily visit the depositories concerned. Collections of print material at depository libraries vary depending on the date they joined the network and the type of deposit (Print Plus or partial). 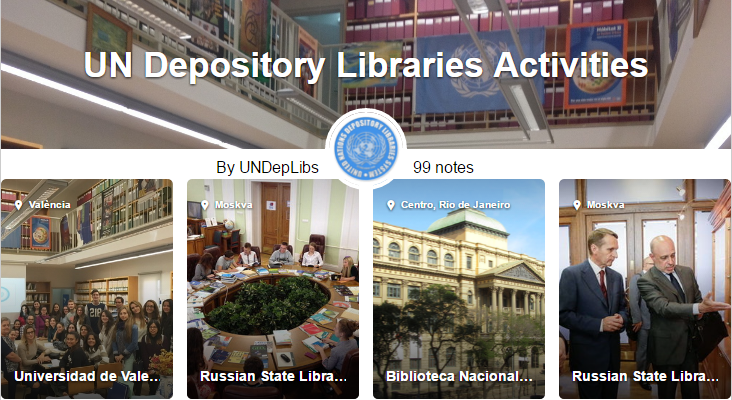 Depository libraries provide expert reference and research assistance and can facilitate the discovery of UN information via traditional and electronic research tools. Doing research at a UN Depository Library? We'd like to hear from you!